Hey everyone!! I know I have been majorly ignoring this blog- I'm sorry! 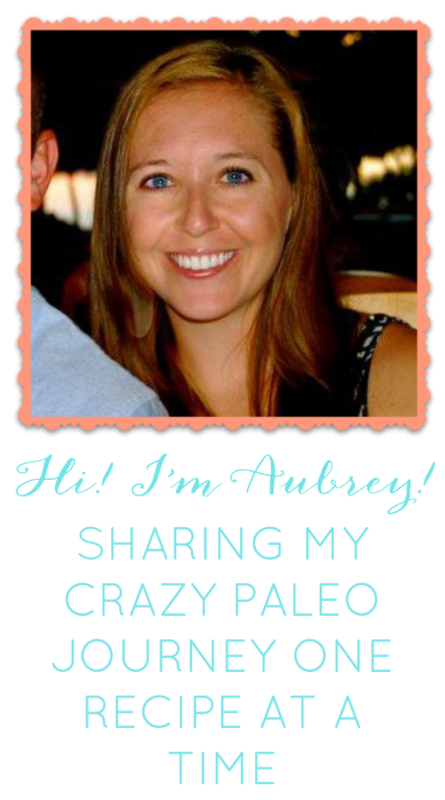 I have been branching out and posting a lot on my new blog- www.fullofgraceandgreens.com . I share a lot about being a new Mom and life in general. We have been eating on and off (mostly off) Paleo for the last year or so but I love that when I am in a bind and need a quick and easy recipe I have my Paleo cooking to fall back on. I changed this recipe from a non-paleo version and it tastes delicious and takes no time at all. This recipe is seriously simple. First- grab a plate and put about a cup of almond meal (*HINT I like to add about a tablespoon of garlic powered and italian seasoning and mix it in my almond meal for extra flavor*) . Then grab a bowl and put 3 egg whites in there. I like to set up a little station with the egg white bowl, then the plate of almond meal and the cookie sheet at the end. 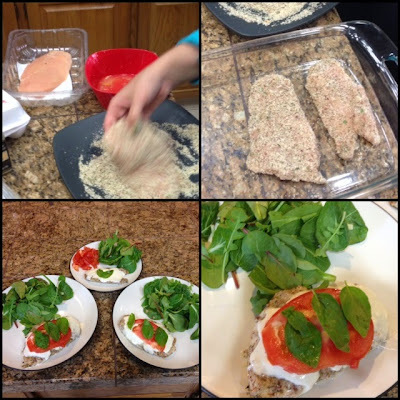 Take your thinly sliced or pounded out chicken breast and dip it into the egg whites covering it. Then throw it on the almond meal plate and flip it around until it is coated. If you start to run low on almond meal just add some more. Once it is coated place it on the cookie sheet and repeat until all your chicken is done. Place it in the oven at 350 degrees for about 20 minutes. I like to add some slices of mozzarella to the tops when there is 5-10 min left of cooking so it gets nice and melty. Finish with a tomato slice, some fresh basil and a nice salad! you forgot about the yummy balsamic vinegar to pour over. I love this recipe! yummmm!